HPI 1/10th 2wd Jumpshot MT « Big Squid RC – RC Car and Truck News, Reviews, Videos, and More! 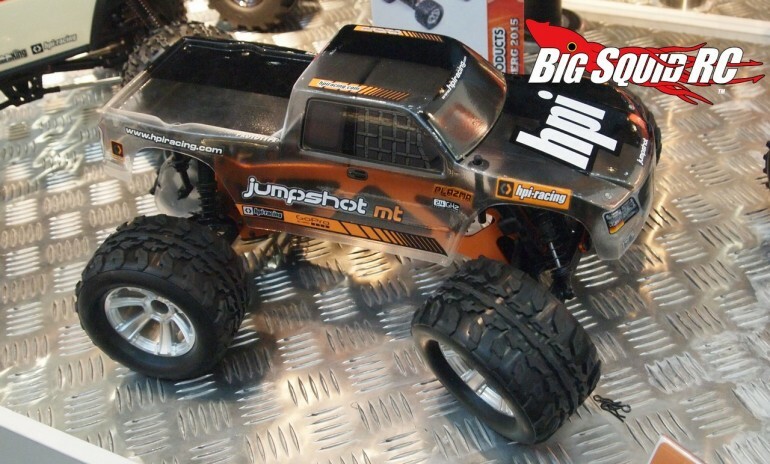 One of the hottest new trucks being shown at the Nuremburg Toy Fair is the HPI Jumpshot MT. 1/10th scale in size, the Jumpshot is a 2wd monster truck designed for serious bashing. A 2.4GHz radio system comes standard, while a brushed power system provides affordable power. A large bottom mount battery tray has plenty of room for various styles of packs while a twin vertical plate chassis is used for strength. The part number for the Jumpshot is #115116 and we will post more information as we receive it. To hit up the official HPI website simply click This Link. Want more HPI news? Find it Right Here.